Shashwat Mody is an Aga Khan Scholar, and is currently pursuing an MBA at The Wharton School, University of Pennsylvania. Prior to Wharton, Shash founded Eduheights Schools, providing quality education to lower middle income students in North India, and worked with Unitus, passionately scaling critical microfinance and livelihood services across India, Africa and SE Asia. He also designed and managed the India Microfinance Innovations Program – funding initiatives that helped microfinance institutions build robust and transparent delivery systems, and balance financial and social returns. 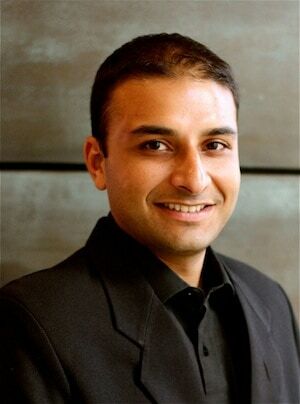 Previously, Shash was a management consultant with KPMG Consulting LLC in the Strategic Advisory and M&A space, working with Fortune 500 companies across the United States. Shash enjoys hiking, biking and running – endeavors that have taken him traveling across 4 continents. Outdated curriculum and low-paid teachers mean many vocational institutions are simply unable to prepare the students for employability. In the past decade, however, a handful of institutions have been able to provide high quality vocational programs to the bottom of the pyramid. High client growth and low default rates are typical benchmarks for gauging the success of MFIs. But the two measures can be counterproductive for MFIs looking to achieve real social impact through financial inclusion. Achieving low default rates and higher client growth rates together is only possible when the client’s cash flows are more than adequate to cover the average loan size. In 2003, Indian private schools accounted for 23 percent of total enrollment, today they’re 30 percent. However, what still proves illusive is a mechanism to help poor families afford to send their children to private schools. In 2011, Grameen Koota and HippoCampus Learning Centers teamed up to address this through a plan that minimized fixed costs per student rural villages in India. After last year’s microcredit crisis in India, many microfinance institutions (MFIs) have reconsidered not only how they lend to customers, but also what responsibilities they have to educate their customers in financial literacy. I recently interviewed Samit Ghosh, founder and CEO of Ujjivan Financial Services, who explained how an innovative financial literacy program developed by nonprofit Parinaam Foundation in collaboration with Ujjivan, seeks to change borrowing behavior. Microfinance institutions depended on very low default rates coupled with rapid growth to provide adequate investor returns. Aligning loan officer incentives with repayment rates and customer service may have helped microfinance institutions become more customer centric.